Twenty years after the book “Moving Walls: Preserving the Barracks of America’s Concentration Camps,” by Sharon Yamato with photographs by Stan Honda was published, Sharon received a grant from the National Park Service through the Japanese American Confinement Sites (JACS) grant program to expand the book as well as produce a documentary focusing on the barracks that remain in the Wyoming area from the Heart Mountain Relocation Center camp and the people who purchased them as homesteaders after the war. The initial project (click here for images) documented the preservation of two barracks from Heart Mountain. 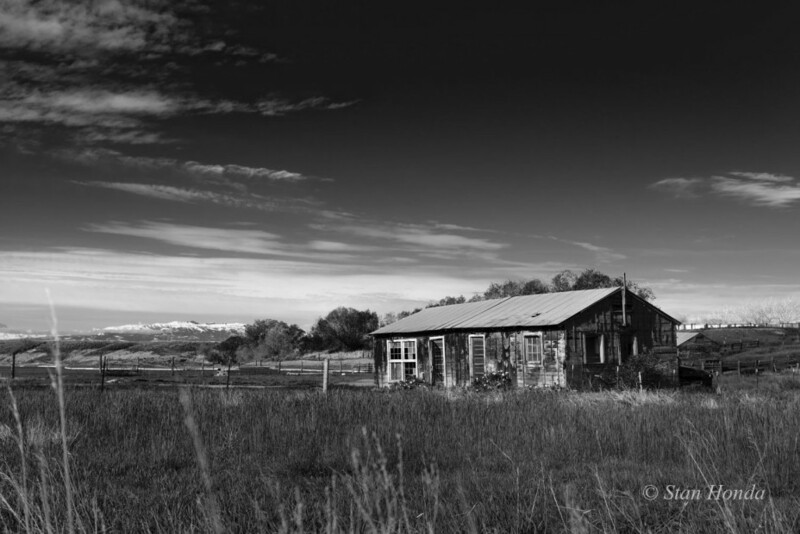 Sharon and Stan traveled to Wyoming in May 2015 to interview surviving homesteaders and their children and find the structures that remain in the area. 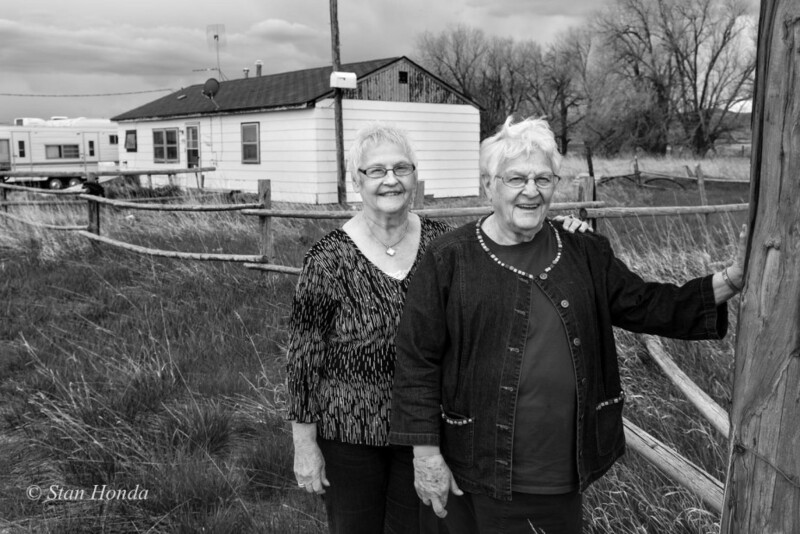 In August they traveled back to Wyoming to attend the Heart Mountain Pilgrimage, a gathering of surviving camp inmates, their families and friends of the Heart Mountain Interpretive Center. (Album on Facebook.) Below are images from the two trips. Click here for an excellent account by Sharon of the May interviews. 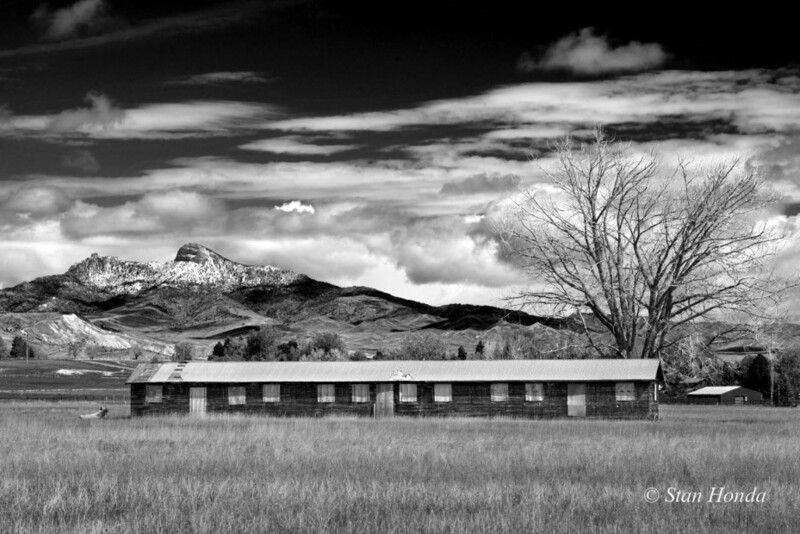 An intact barrack in nearly original condition north of Cody, in the background is Heart Mountain with mid-May snow on the peak. 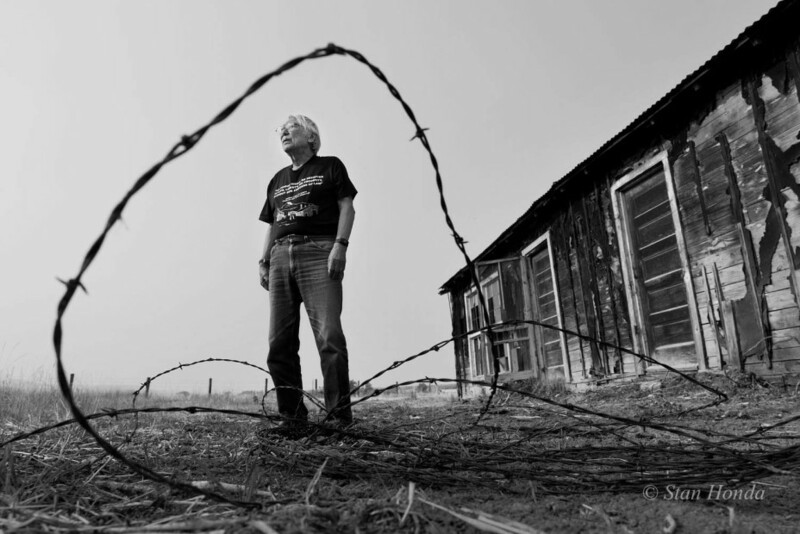 Heart Mountain camp survivor Tak Hoshizaki, who as a young man was a Heart Mountain draft resister, during an interview by an original barrack on the Jolovich family farm. Hoshizaki joined over 60 young men who opposed serving in the U.S. military while their families were incarcerated. 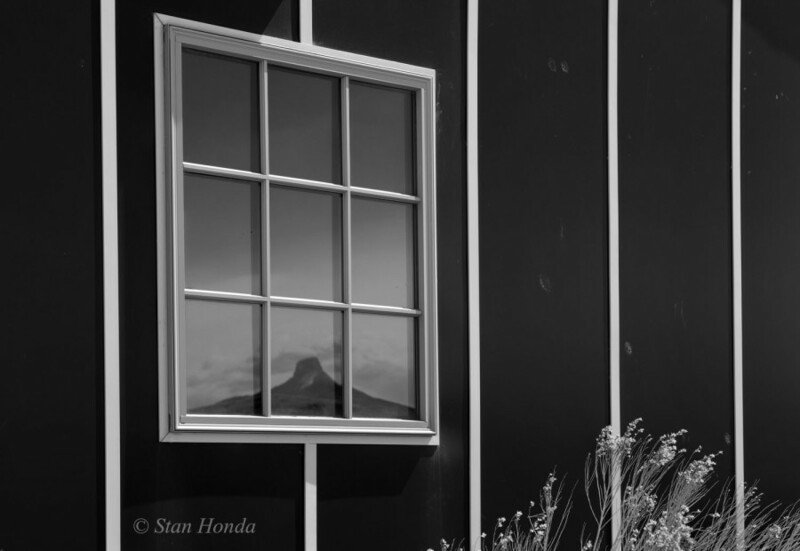 Heart Mountain is reflected in a window of the Heart Mountain Interpretive Center, an excellent museum on the site of the confinement camp. Click Here for more on the museum. An original barrack on the Jolovich family farm. 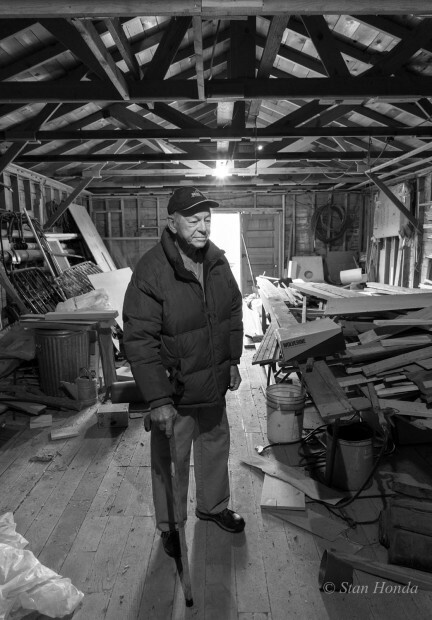 We met amazing people like homesteader Forrest Allen, standing in his storage shed that was a Heart Mountain barrack. Ruth Pfaff and Jane Chelberg, of the Blackburn family, were fonts of information about the area. They spent some of their childhood in this house, which originally was a barrack. 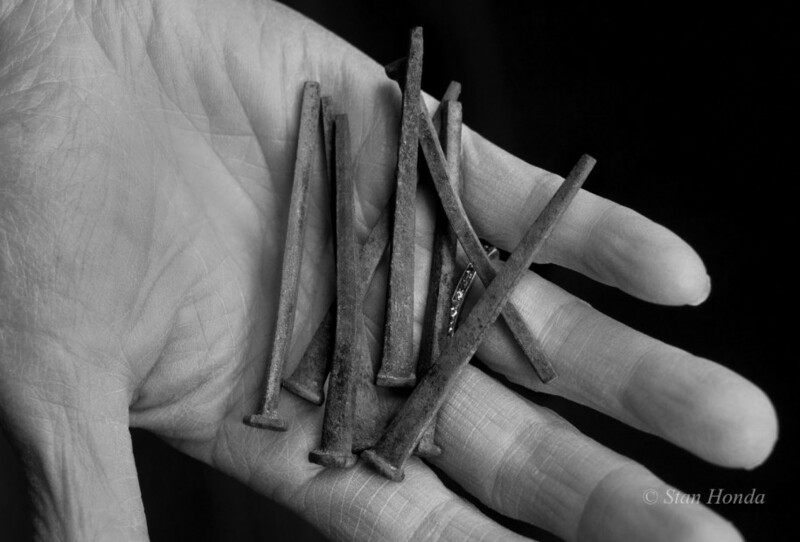 Square nails dating from original construction found on a farm where a barracks was used as an animal enclosure. 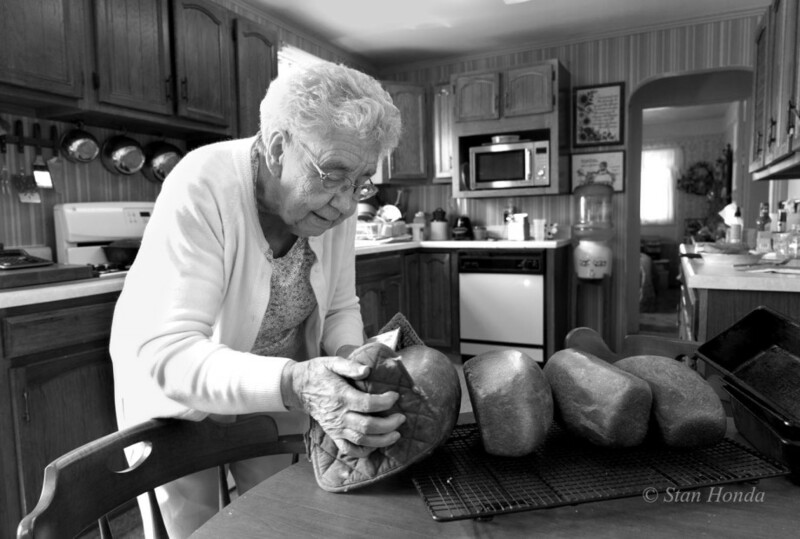 Evaleen George sets out the loaves of bread she makes once a month. The kitchen was part of the original barracks that was turned into a home when Evaleen and her husband homesteaded the land. Tiny Collar in front of her home that is a former Heart Mountain barrack. 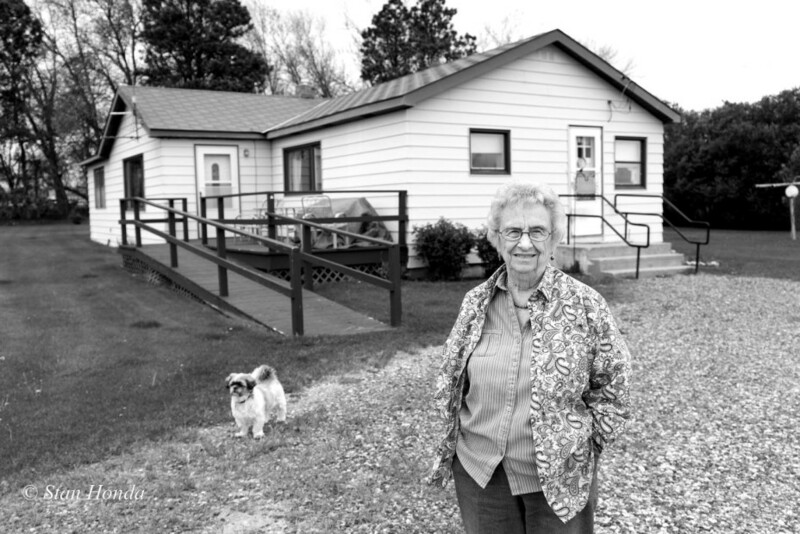 As homesteaders Tiny and her late husband converted the barrack into a house. 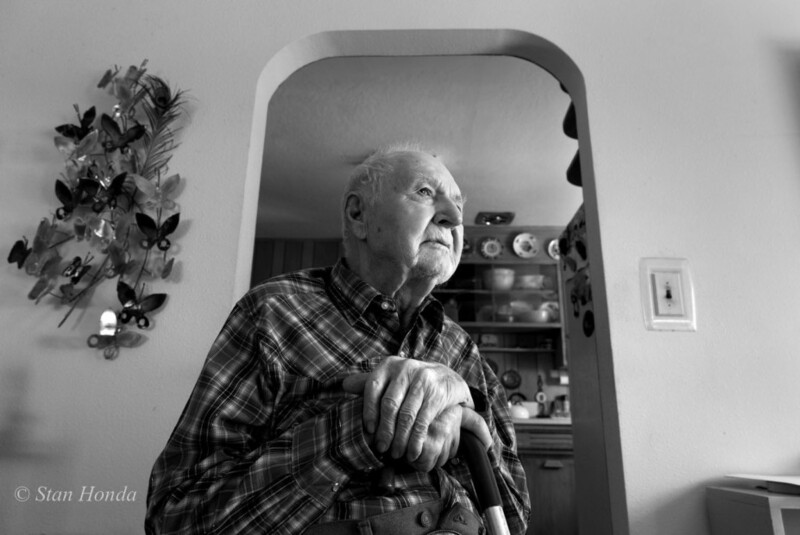 Laverne Solberg in his house, which was a former barrack that he converted as a homesteader in the late 1940’s. 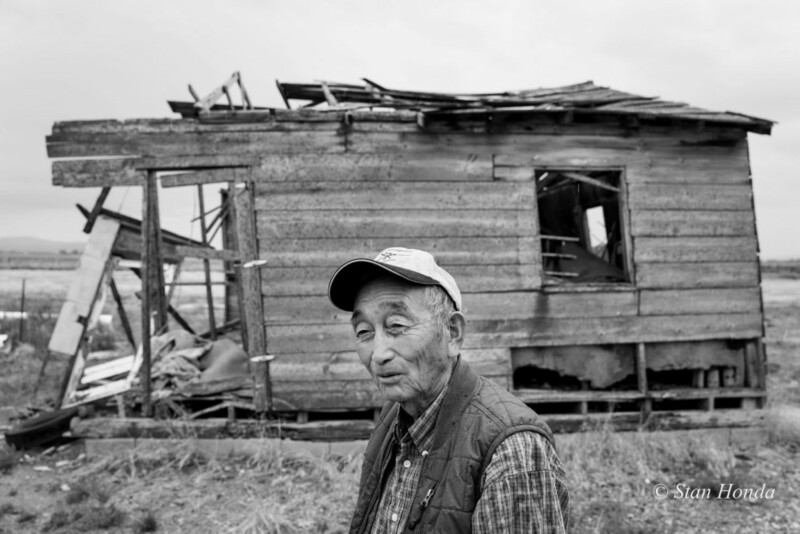 Farmer Tak Ogawa by a dilapidated barrack on his land. He came to the area after the original homesteaders had settled. 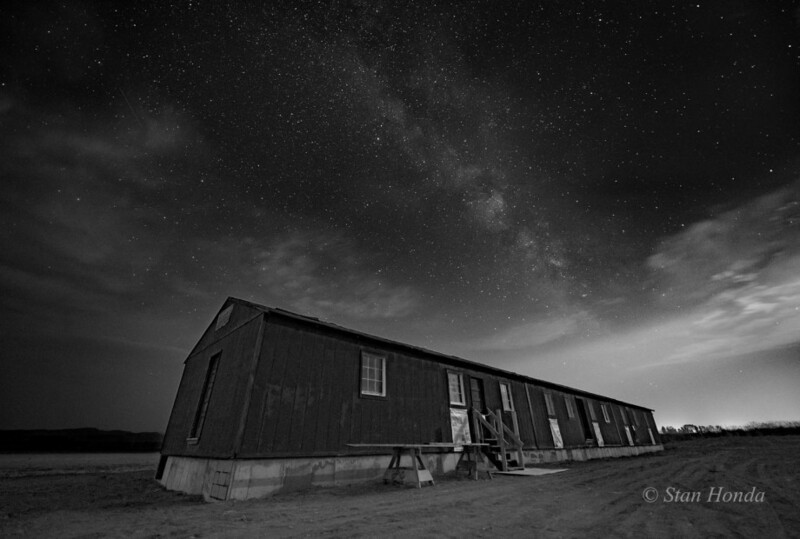 A night scene of an original barracks donated from the Iowa State University geological field camp in Shell, eastern Wyoming, now on the site of the Heart Mountain Interpretive Center. 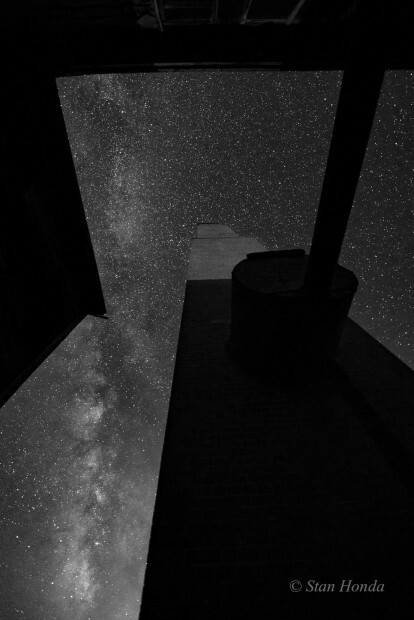 The Milky Way over the original chimney and boiler room at the Heart Mountain hospital. 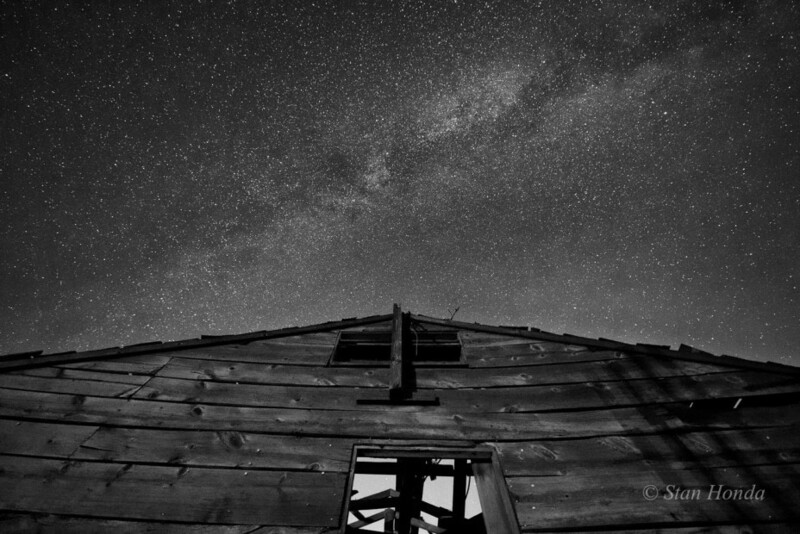 Stars above a dilapidated barrack on Tak Ogawa’s farm.